A friend of mine recently asked if I had any airplane ideas. I strangely have boys who are more into trash trucks and tractors than any type of flying machine so this theme has never really been on my radar. A quick search of the party-sphere and I found some great ideas! Check out this amazing cake (and party) from Just Call Me Martha. Insanely fab, don’t you think? 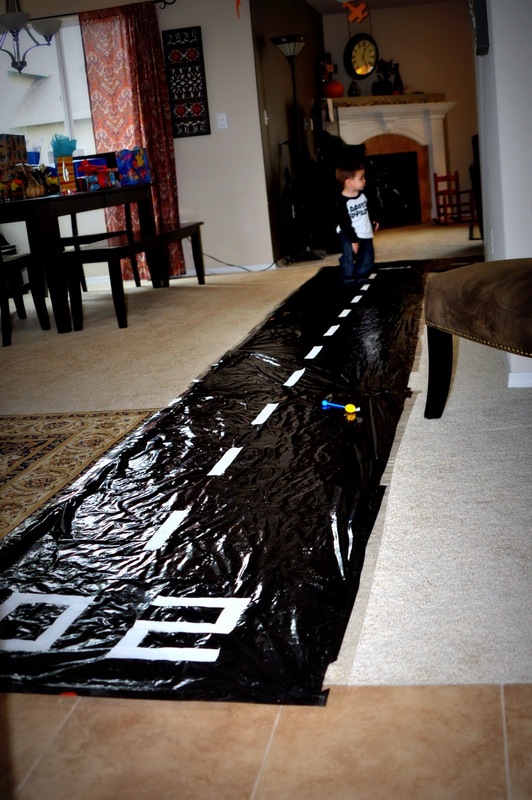 I love the idea of making a runway for your little guests which I found on Finding My Aloha. 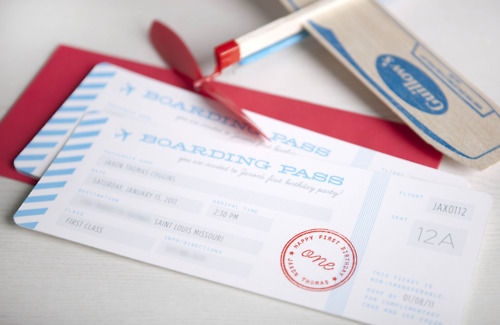 I love the idea of a boarding pass invitation. This adorable one is from Little Frills. 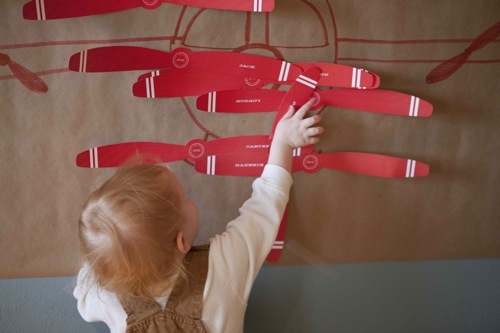 I love the idea of the “pin the propeller on the plane” game. Little Sooti featured this party. And check out the baggage claim favors from the same party. Just adorable! 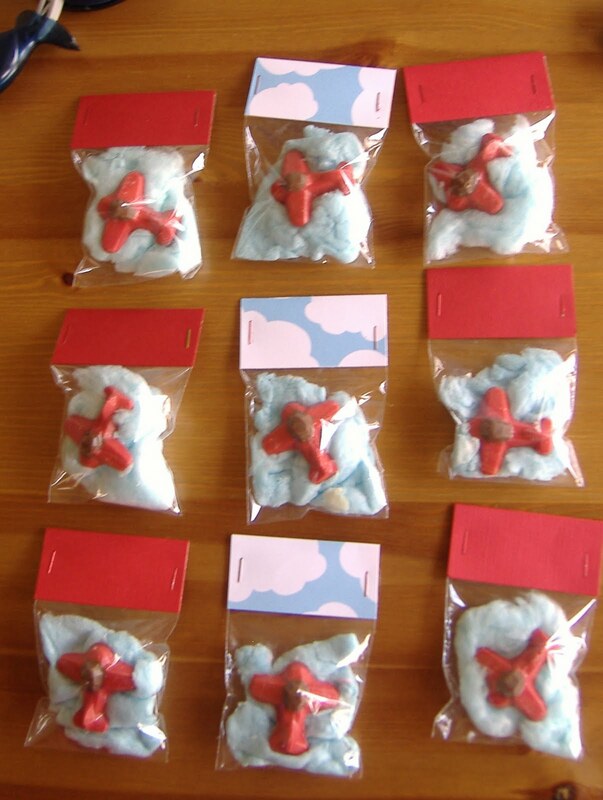 Dawn of Not Just A Mommy Blog made these fabulous favors… cotton candy clouds and chocolate mold airplanes. Such a fun idea. 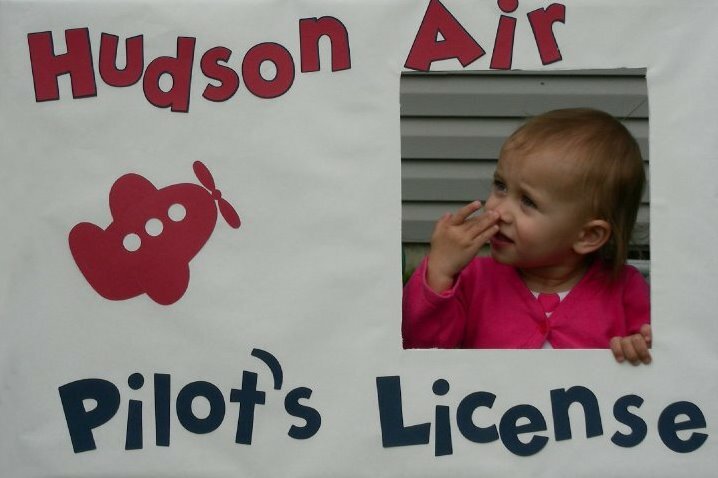 She was also responsible for the cute pilot’s license idea below. But of course, if you really want to get legit, why not throw the party in an actual plane… you know. Because planes are so easy to come by for birthday parties! How awesome though if you could pull it off like this party I found on Hostess With The Mostess. Safe travels and have fun throwing this party! Hopefully one of my boys will like airplanes one day so I can put something together using all these incredible ideas. 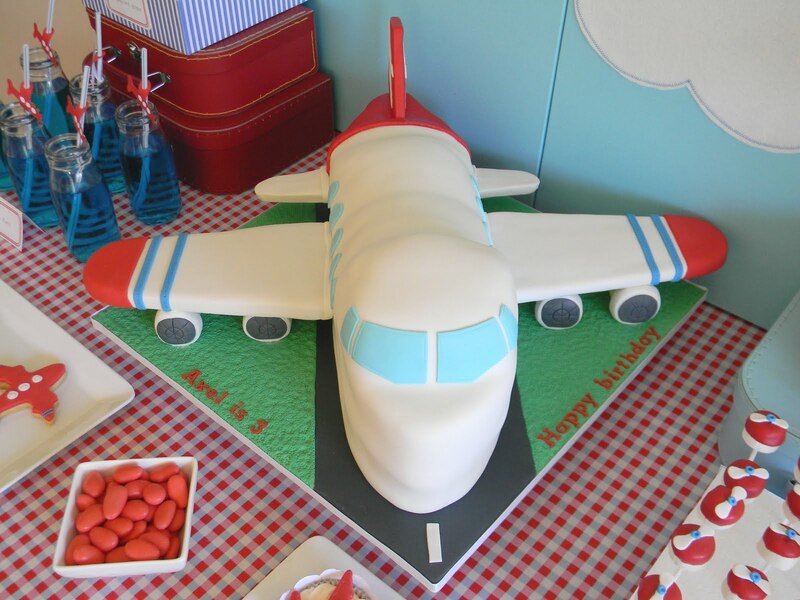 This entry was posted in kid's parties, parties for kiddos, throw this and tagged airplane party ideas, boy's party themes, flying party, plane party, vintage plane party by Annika. Bookmark the permalink. I love love these fab ideas. If I only had a boy , I could throw this party. I noticed these cute glass bottles in the first picture, any ideas on where I could get those ?? 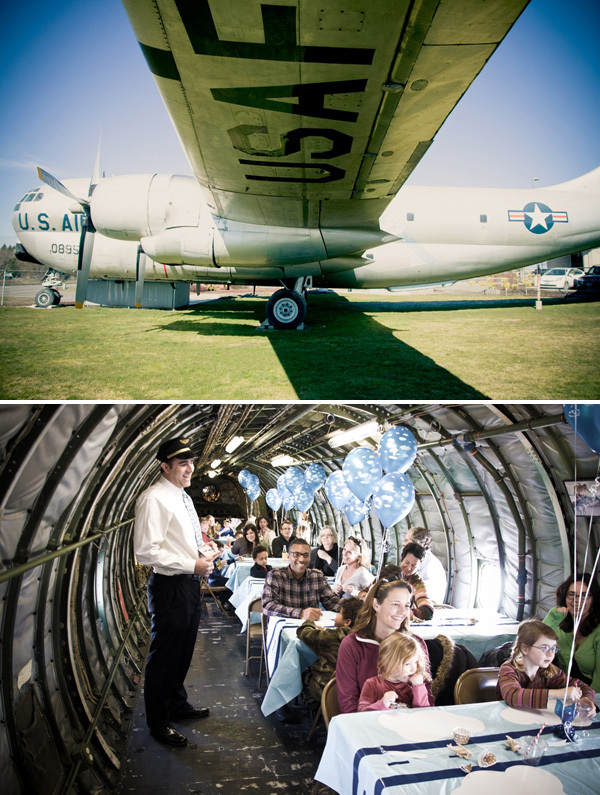 I so want to throw an airplane party–maybe for Micah’s 3rd! I’m also thinking about doing an airplane themed room for him–we’ll see . . . Needless to say, I love this post! 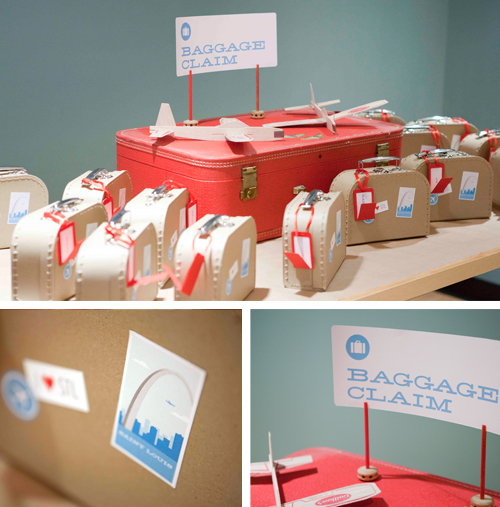 The lunchbox luggage goodie “bags” are my favorite, but that cake is gorgeous too! I shared your blog and post on my Friday Favorites today! I hope some readers hop on over to check out your great posts! Have a terrific weekend! I love all these airplane ideas and of course, thank you for sharing ours! Pllleassseeeeee tell me where to find the small party favor suitcases!!!!!!! Where can I get these suitcases???? Adorable ideas! My friend is planning an airplane party for her son’s 2nd birthday! These will definitely come in handy! Thanks!!! WOW, this party looks like it was a blast! Where did you find the Luggage loot bags? Anyone find out where those suitcases can be purchased yet? I really would love to get them for my son’s party. I’m doing a round-up of airplane party ideas on Disney Baby and wondered if I could include a photo from yours? I’d just use one photo with credit to you and link back to your post. Let me know if that’s okay.